Yup it's that time of the month again.... shopping for groceries and almost everything else here at my favorite S&R store. It's a monthly thing they say, it's a chore but for me, it's the best time of the month. It's where I get to go around every aisle, enjoying the rounds, checking old and new stuff and reading about what products are here for you. Yup I do read the labels, and here are some of the interesting stuff I found. Summer isn't over yet, and the temperature still rises above the scale, and you need to hydrate all the time, found this Rove Diego water bottle 24oz, which is BPA FREE, so it is safe for use everyday. It can handle cold or hot beverage, so this would be the only one you need for your everyday needs. Priced down to P199.95. 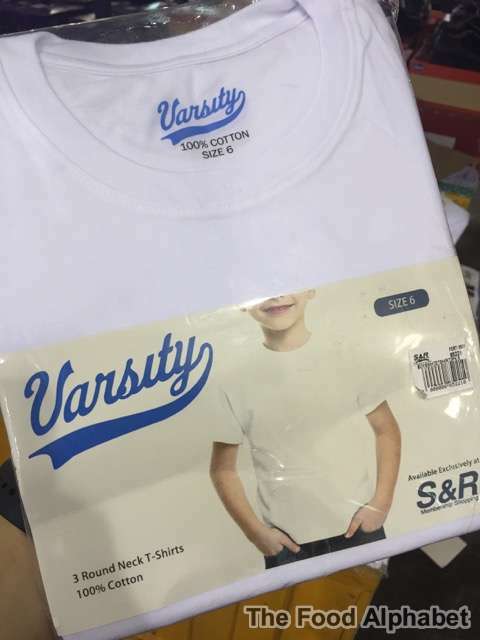 And as much as we want to hydrate, we can't help but perspire in the sun, admittedly even in mildly air conditioned rooms, I still do perspire sometimes, so its best to keep an extra now and then good thing I found this Varsity Round Neck T-shirts, made from 100% cotton, priced now at only P249.95 per pack of 3, now that's a steal! Perfect to use even for your kids as they prepare for school next month. Snack Attack! Enjoy this Red Velvet Marble Load for only P169.95, more than fills the tummy, it satisfies, grab 1 and go. Wow!!! 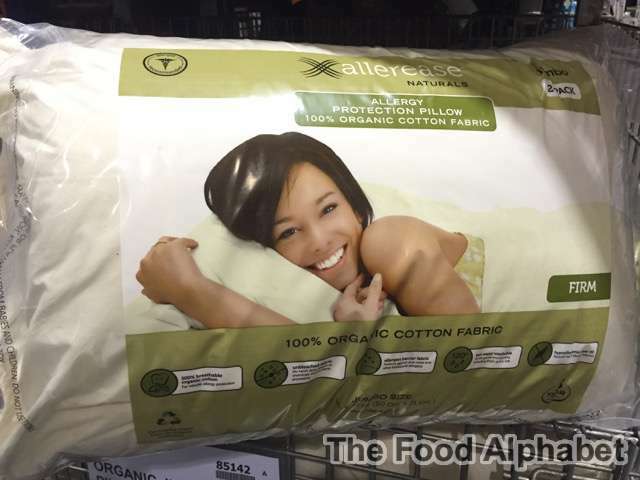 Allerease Hypoallergenic pillows made from 100% Organic Cotton Fabric for only P1,099.95 is the best way to get allergies off when you sleep. Have you woken up with a runny nose? A stuffed nose that you kept on sneezing, then you are having an allergic reaction to dust mites or even to that of your favorite pillow, maybe it's time to move on... don't you think? 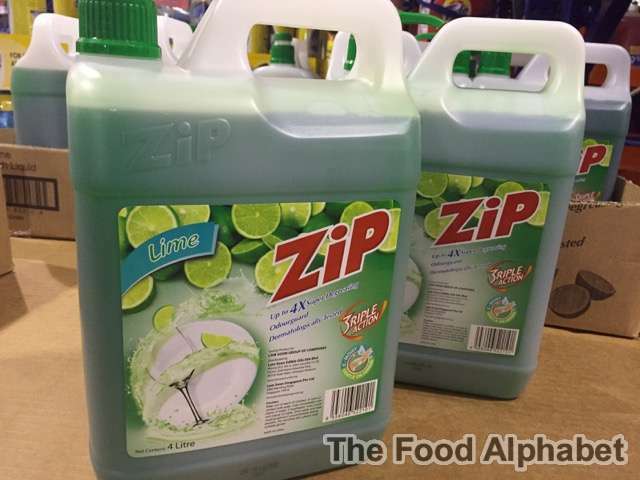 I love Zip! They keep my dishes clean, with up to 4x degreasing action and odourguard to make you dishes smelling fresh and clean, you can never go wrong with Zip. 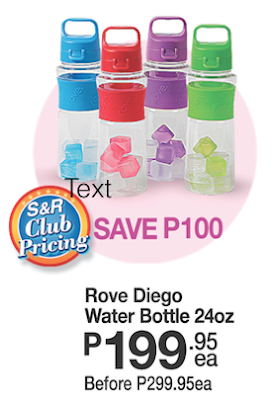 Available in Lemon / Lime for only P279.95 down P100, now that's savings! Now who says grocery shopping is a chore. Shopping is always best at S&R Membership shopping, where there are always great finds and best deals. 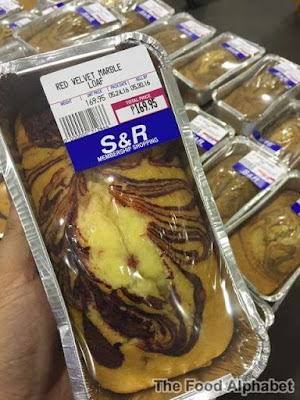 Now I can't wait for next month to visit S&R once more. The foods are delicions!i had shared it. Enjoy the Summer Flavors of Serenitea! Vote on May 9 and be treated at Starbucks! Feast All You Can at Lugang Cafe is back!!! Digital Walker Madness 3 Sale starts today! !